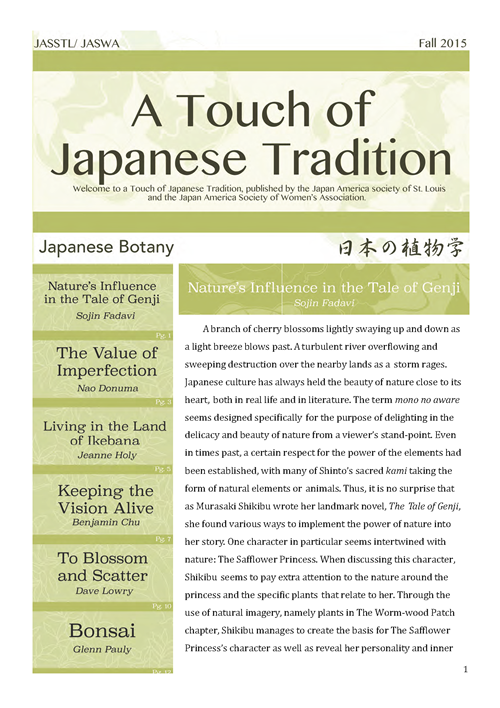 A TOUCH OF JAPANESE TRADITION is a cultural journal published by the Japan America Society of St. Louis. Each issue focuses on just a few aspects of Japanese culture and society. We welcome your comments and suggestions for topics of future issues.